The art of the Smart home - You design your dream home! A new era of homebuilding is upon us. Live smart with these 3 bedroom homes, that creatively maximizing space as well as land planning opportunities which yield greater density which provides smarter living at a affordable price. As demonstrated elevation characters can reflect regional and style differences without sacrificing detail or breaking the bank. 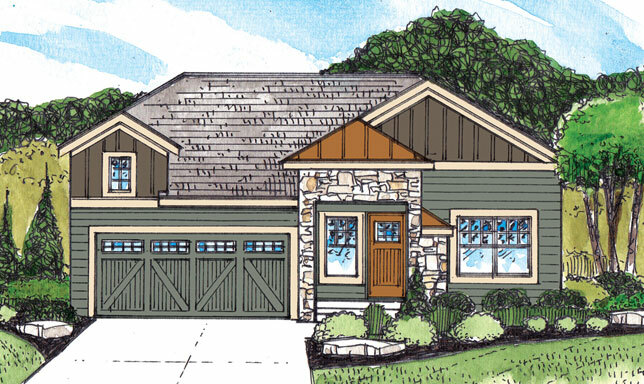 In the Gold Series, choose from three elevations per floor plan! Smart Features Included: 9 to 10 ft. main floor ceilings, Updated exteriors to include metal, rock & shutters, Upgraded window & door packages, Koch brand cabinets/granite surface countertops, High End Tiled Baths and Kitchen Back Splash, Wood Floors, Standard Appliances include built in oven and electric top range, 6ft cedar fencing with front yard sod and sprinkler system. Head West on CY Ave and turn left onto Pheasant Dr.